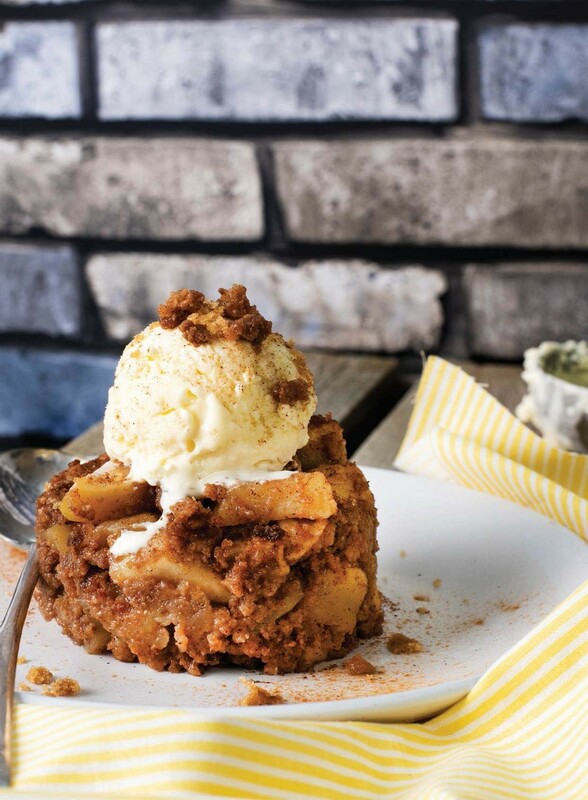 The brown betty is a wonderful American dessert and is super easy to make; it’s deliciously sweet and comforting, for those dreary winter days when you need a quick pick-meup pudding. Our focus this issue is, of course, Valentine’s Day, which (aside from evoking slight nausea at the sight of oversized heart-shaped cards and public displays of affection) brings to mind the topic of relationships, for me. And not just in the traditional sense – we won’t be casting aside all single people and condemning them to a night of rom-coms and dairy-free ice cream (though who would say no to that?!) – Valentine’s Day is a good time to consider all forms of relationships; such as the relationship between yourself and your family, friends, animals, food, even the relationship you have with exercise and fitness, and most importantly, look at how to improve them. When it comes to friends, family and partners, the answer is easy: time. Spending more time with your loved ones is always a good idea, and will often lead to a closer-knit relationship with them (even if they do drive you slightly crazy at times). 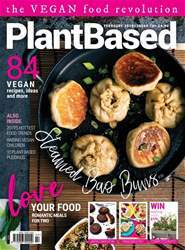 Why not make a Valentine’s feast for your nearest and dearest, following our delicious three-course menu of plant-based recipes. Choosing plant-based ingredients will also help with the third on that list: improving your relationship with animals. Following a vegan-friendly, cruelty-free diet shows your respect and compassion for animals, as well as for your own health. And lastly, when it comes to improving your relationship with exercise, look no further – this month we have two amazing features on keeping fit, including partner exercises to try with your loved one and fitness tips from social media sensation, Katya Henry. But, beyond all these – as cheesy as it may sound – it’s most important to love yourself, imperfections and all!